The 22 teams of the 2014 Tour de France were announced this week. Being selected for the Tour de France is big. 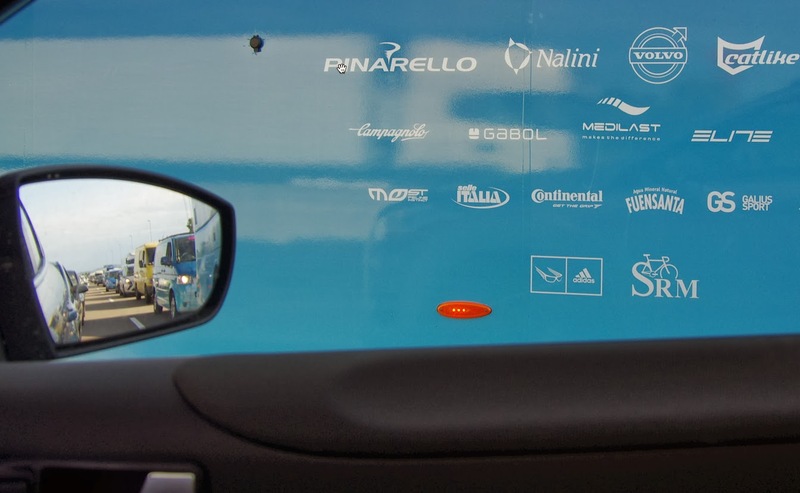 Not only does the Grand Tour bring the best chance of highest income for the year, inclusion in the race is a symbol of being the best of the best (unless you are a French Pro Continental team then you just get to go). 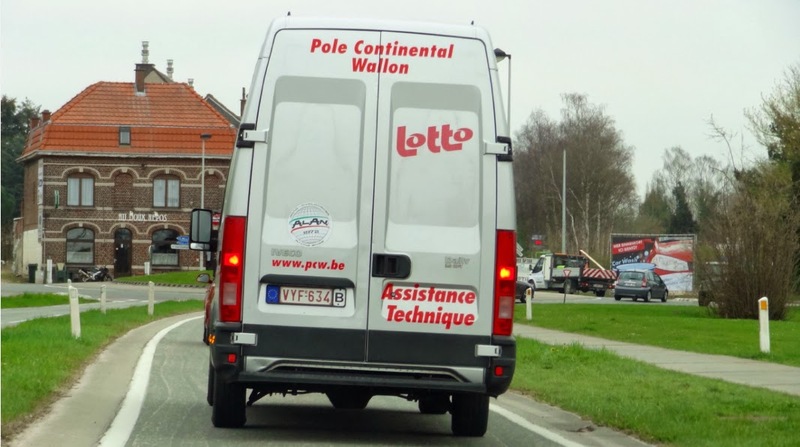 Each of the 22 teams will have 9 riders, adding up to the traditional super big peloton of 198 riders and making getting a hotel room anywhere near a stage start nearly impossible. Below I have linked up each team's name with the corresponding ProCycling Stats page (great site! ), the source for more information, team jerseys, riders, analysis and statistics. IAM CYCLING (Sui) Sylvain Chavannel! 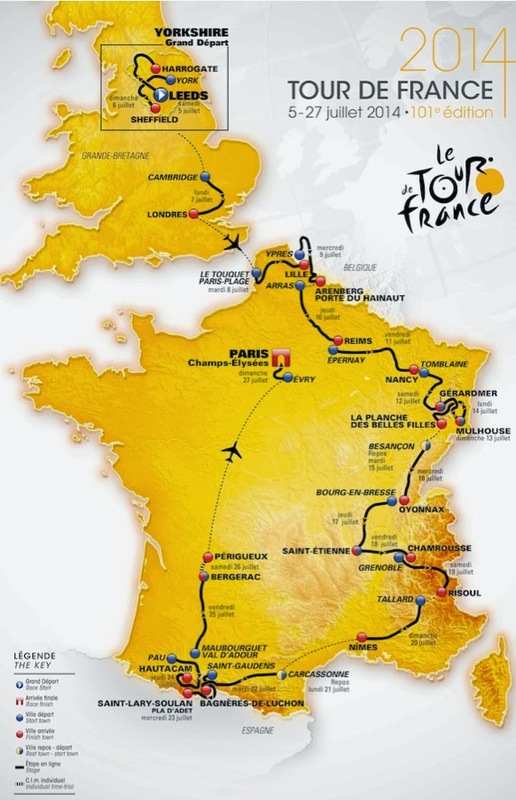 My review of the route and climbs of the 2014 Tour de France, here: Route of the 2014 Tour de France. 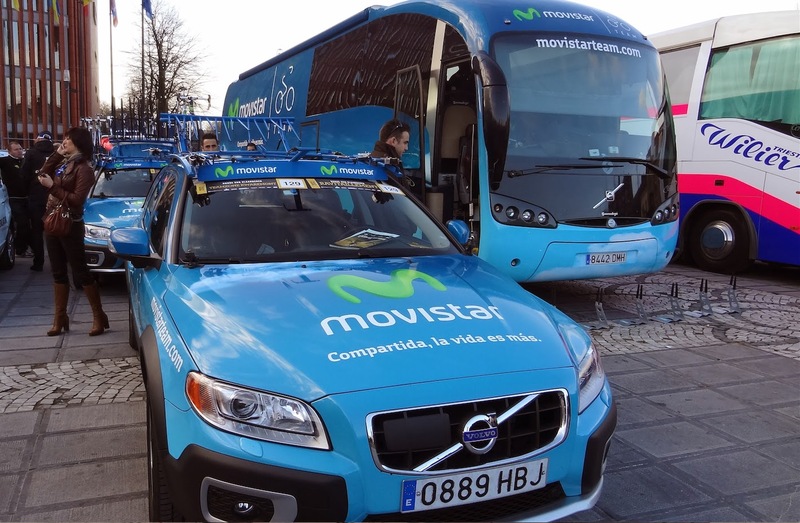 If the riders cover 3,656 kilometres in 23 days, think how far these team buses and team cars drive to get to the start and stop villages, to hotels, to feed stations, and pick up supplies. The teams cover big total mileage every year. 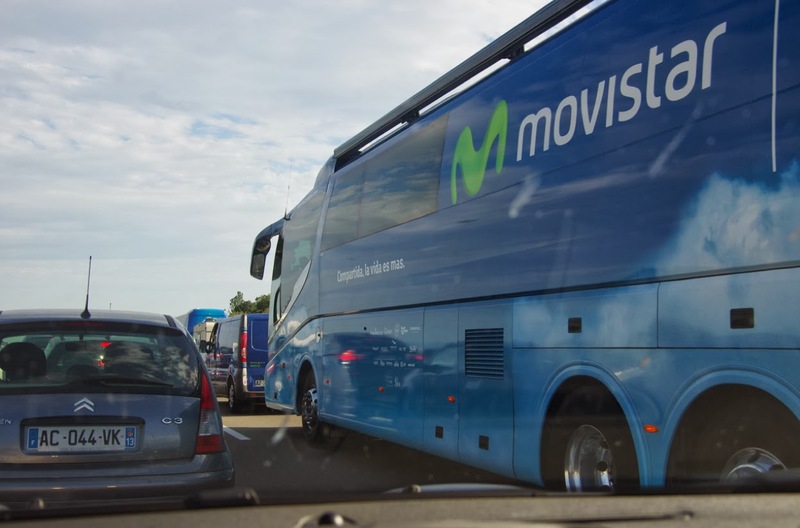 I always get excited driving down the road with the team buses heading in the same direction to the next start village. To me it has become a wonderful symbol of chasing a tour. Update: Chris Horner was confirmed as signing to Lampre-Merida. Photo for the Day - Chris Horner. Read the news from today: Lampre confirms signing of Chris Horner for 2014 season. How much will Horner make at Lampre-Merida? Well that remains to be seen because he and his non-official spokesman Baden Cooke designed a contract heavy with bonuses. Which means the better the 42-year old races, the more money he will make. 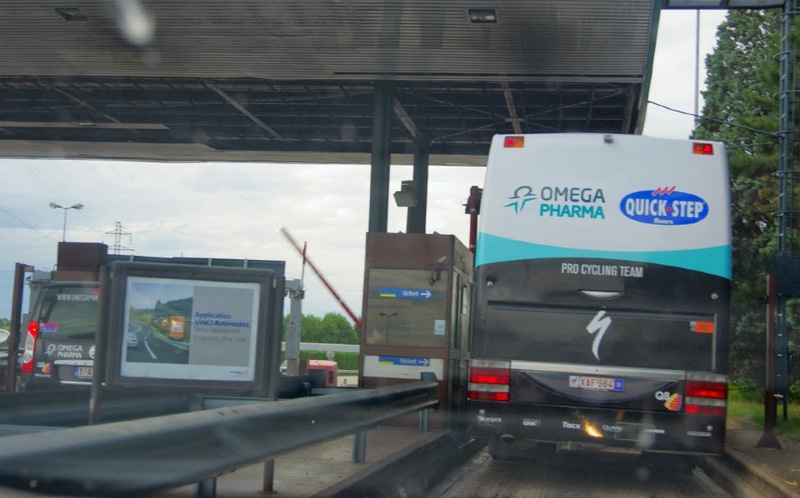 Awesome idea I told my brother in our morning conversation today, "Probably something they should require of more riders, like Andy Schleck for starters." Sorry Andy, but performance based models make sense in a world of get your World Champion victory or Grand Tour podium and rush to sign a four-year contract, then answer one hundred thousand interview questions about the big come-back so your salary makes sense. Chris Horner has motivation.